You are what you eat. Well apparently, your skin is what you eat, too. Our friends at Page Daily gave us the scoop on what we should be eating for beautiful, healthy looking skin this season. 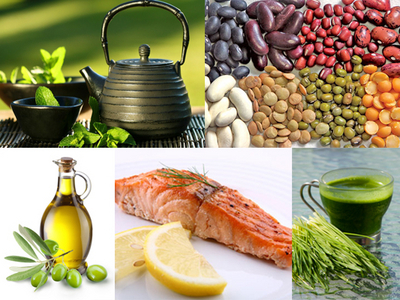 There are many superfoods that benefit the skin–here is a sampling. 5. Green Tea contains polyphenols which help eliminate inflammation-producing free radicals. Polyphenols protect healthy cells from cancer causing DNA damage, while ushering cancer cells to their death. Another remarkable finding is the power of green tea polyphenols known as EGCG to reactivate dying skin cells. Researchers consider this amazing energizing of dying skin cells to potential benefit skin diseases such as psoriasis, ulcers, rosacea, wounds–and wrinkles.